The Fly River Provincial Government is putting the State and the O’Neill-Abel Government on Notice that discussions on developing P’nyang Gas Field must be a STANDALONE GAS PROJECT in Western Province. 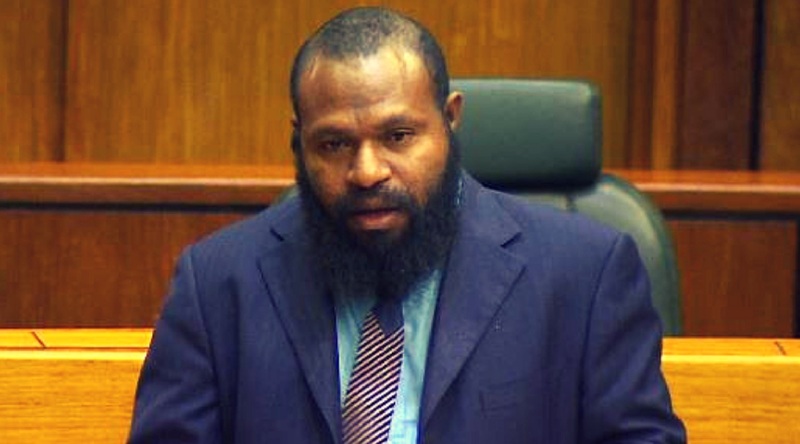 “This statement is on behalf of P’nyang Gas Project landowners, Western Province and the 8 million shareholders of Papua New Guinea,” says Western Governor Taboi Awi Yoto. While welcoming the recent announcement by O’Neill-Abel Government on the accomplishment of the national building policies to ensure its citizens participate more fully and directly in our country’s gas industry, Yoto noted that the Fly River Provincial Government has to use this opportunity to benefit its people by utilising development of gas projects in the province. Governor Yoto also noted that leveraging from Ok Tedi Mine of its skill labour, professionals and established contractors, Papua New Guineans including his people could participate from the PDL gas conditioning facility, to the pipeline and downstream storage and gas treatment plants. This complements the requirement of the national and local content policy, utilise Domestic Market Obligation requirement for domestically produced gas for power generation and related downstream products for investment opportunities under the Third party Access code. “Fly River Provincial Government has the capability and the capacity to undertake challenges to ensure that the P’nyang Gas project is developed in the province. My Government as the host province to more than 20 Trillion Cubic Feet (TCF) of gas deposit, currently featuring the 4.6TCF in P’nyang Gas field, we are prepared to host the next LNG in the province. “This standalone project will enable the stranded gas fields in the province to optimise the opportunity for further development my people and the people of Papua New Guinea hope to benefit from,” the Governor said. The Governor noted that Papua New Guinea has learnt many mistakes and gained enough experiences from the first LNG Project, called PNG LNG, under the operatorship of ExxonMobil. Juha Gas field was committed to the PNG LNG Project and awarded a PDL9 in 2009 without development. It was warehoused under a unitisation development concept and it is still anticipating development in 15-20 years’ time. P’nyang gas eld PRL13 with others holds 80 percent of the Recoverable Gas Fields yet to be committed. In noting the serious negligence to the regulatory and compliance requirement, the Governor said ExxonMobil contradicts mandatory pre-requisites to qualify a Petroleum Development Licence stipulated in the Oil and Gas Act, and yet provided additional 18-month extension under section 54(2) Instruments to resubmit the licence conditions as specified below. a. Need to know how much can be produced and how much shareholders should own in the pool for the years of production. a. Very important for Provincial Government and LLG to understand the corridors of impact and planning required on expected risks and opportunities. FEED directs priorities on gas development agendas, and beneficiary matrix. 7. How Environmental Permit was obtained without Pre-Feed and FEED? a. Environment impact Statement was done in PDL areas only, how about the Pipeline areas without consultation with the Provincial Government and LLG? a. We cannot grant a PDL and wait in anticipation for 20 years. It is lawful that PDL is contingent on the actual Development of the Project. P’nyang Gas Field is not part of the Foundation project and therefore will not utilise the PNG LNG gas transport, gas treating and liquefaction plant. It will be built as a STANDALONE Project upon the grant of PDL. The Governor, while thankful of the Government for taking a strong stand following consultation with the State and stakeholders said ExxonMobil quickly submitted its application for PDL in 2015 after noting the expiry date of Petroleum Retention Licence of P’nyang (PRL 13) in August 2016. “In November 2016, DPE contentiously issued to ExxonMobil an Instrument under section 54 (2) of Oil and Gas Act, to provide additional information to support application for grant of a Petroleum Development Licence. The instrument contains specific mandatory requirements by law that Esso PNG P’nyang Limited (subsidiary of ExxonMobil PNG Ltd) was to fulfil after they have failed to meet/satisfy the pre-requisites for consideration of a PDL during the 15 years term under various licensing periods as specified by law. “On 16th December, confirmation from a 2015 subsequent NEC decision 386/2015 noted PRL 3 Application does not meet the minimum statutory requirement for the grant of a PDL. That application failed to commit to Specific Field Development Plan for State to consider, contradicting section 54 of Oil and Gas Act, among detailed development proposal that will give the beneficiaries, provincial government and Local Level Government and landowners the benefit of a doubt. “One of the case in point is in December 2015, P’nyang Landowners and affected pipeline Local Level Government successfully challenged the validity of Social Mapping and Landowner Identification (SMLI) studies by ExxonMobil and obtained a National Court order restraining ExxonMobil and the State from rushing into a Development Forum in Kiunga,” stated Governor Yoto. 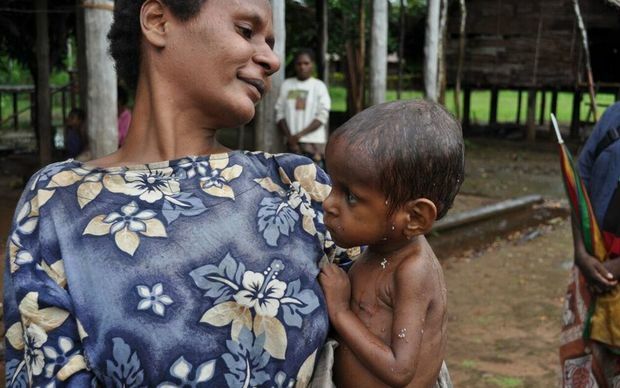 “We are speaking for the benefit of the 8 million shareholders of this country, and PNG Government under the leadership of O’Neill-Abel simply cannot afford to suffer another misery from the hands of ‘economic hitmen’. The Governor pointed out that Western Province has contributed significantly to the development of this country through Ok Tedi Mining operation and it’s time the Government gives back to the people of this country to develop the gas project in the province as a standalone project, under new fiscal terms and commercial arrangements.